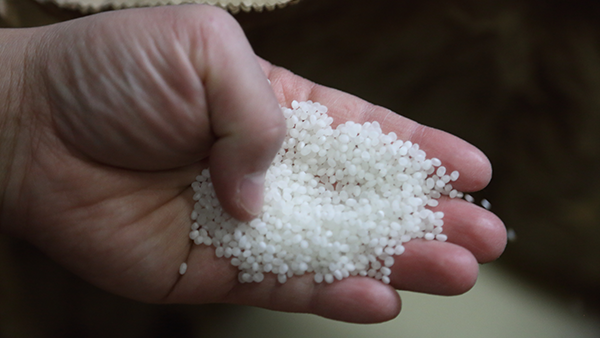 We use milled rice for Hirohisa to pursue the limits of nihonshu (rice wine). For Harugokoro, we do not polish the rice as much to bring out more umami from the rice. While Hirohisa is made using highly polished rice, the ingredients are handled with precise adjustments of moisture content so the rice does not soak too much water and break. Harugokoro gives the full flavor of the rice by allowing the rice to soak plenty of water. Hirohisa is made using a controlled method to adjust the balance of enzymes derived from koji starter. Harugokoro brings the flavor out of the rice by letting the koji starter grow fully. 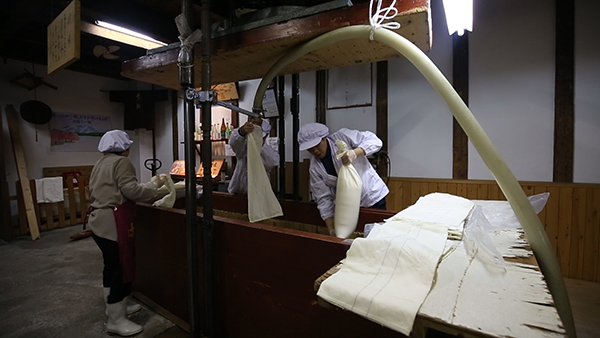 For Hirohisa we use carefully selected yeast, and pure cultivation to get the most out of the yeast’s character. For Harugokoro, we multiply the yeast with nature’s help. 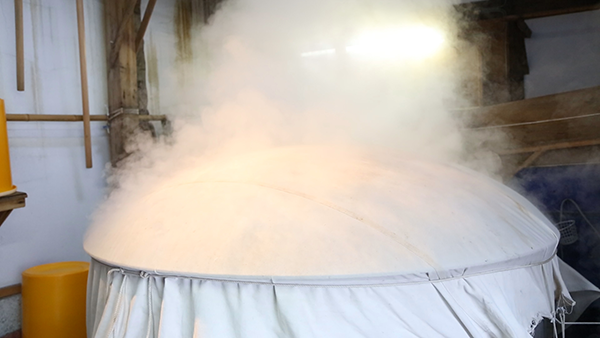 For Hirohisa, fermentation is controlled by adjusting the temperature. 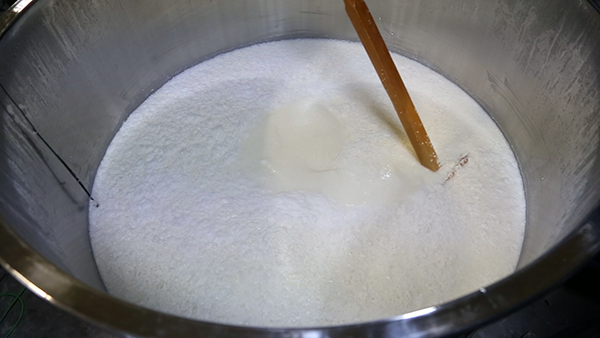 For Harugokoro, we let fermentation occur naturally without altering the temperature or the way the rice dissolves. At Nishide Brewery, we use a traditional press called a fune to press the sake by hand. If we happen to make a mistake, it could render our two months of work useless, so this final step makes us the most nervous. 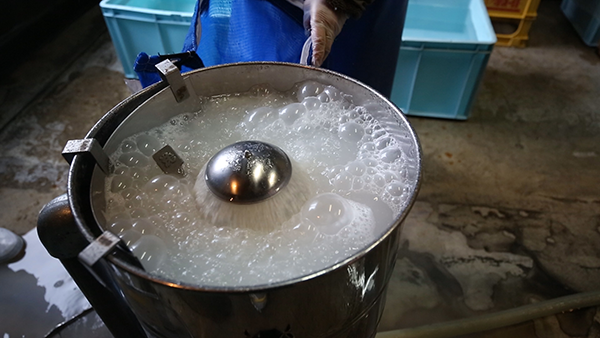 Although it takes more time than machine-pressed sake, all of the sake pressed using this method is infused with love.